A DMK21AS camera fitted with a Baader green continuum filter was placed at the prime focus of an 80mm ED f/5.5 refractor, fitted with a glass Thousand Oaks solar filter. Five overlapping reagions of the Sun were imaged and the resulting images merged in Jon Grove's iMerge software. ADMK21AS camera fitted with a x 2.5 Barlow and attached to a Solarmax ll 60 BF15 H-alpha scope was used to image two overlapping areas of the solar disk in a region where there was a huge snaking prominence. The images were merged to produce the final image. A DMK21AS camera was placed at the prime focus of a Solarmax ll 60 BF 15 H-alpha scope and four overlapping areas of the Sun were imaged. The resulting images were merged into a final image. A DFK21AS camera was placed at the prime focus of a Skymax 127, Maksutov and two overlapping regions of the Moon at the junction of Mare Tranquillitatis and Mare Serenitatis were imaged. 10,000 frame AVIs were captured of each area and frames of 90% quality were stacked to produce the two images. These two images were merged in Photoshop to produce the final image. The camera was set to 60fps which was possible because debayering was not done on the camera during capture but was done by Registax 5 in post capture processing. The saturation of the final image was slightly increased which revealed subtle colour differences between the two maria and the adjacent higher ground. These colour differences reflect different mineralogy of the different areas. 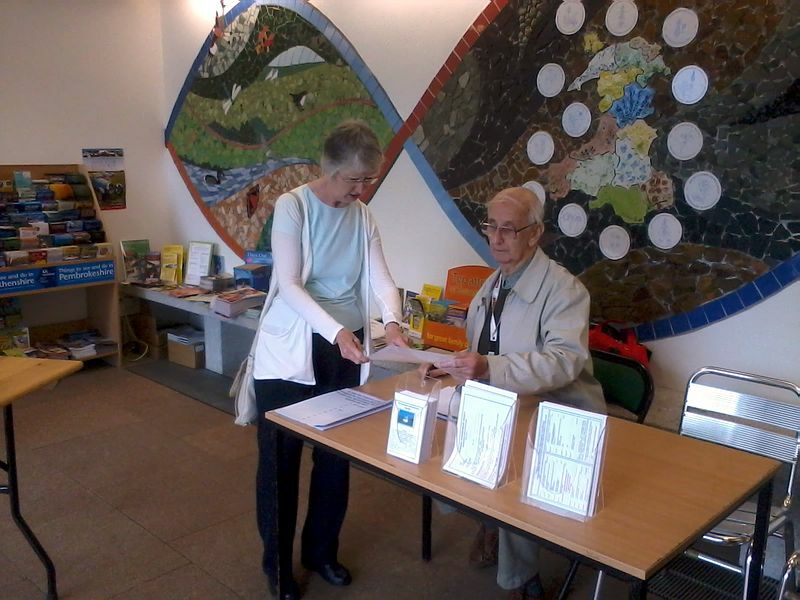 In partnership with the National Botanic Garden for Wales, the Swansea Astronomical Society delivered an exhibition on safe viewing of the Sun. The facilities of the gardens such as the cafeteria and the shop provided shelter and interest during the times that the weather was unkind. 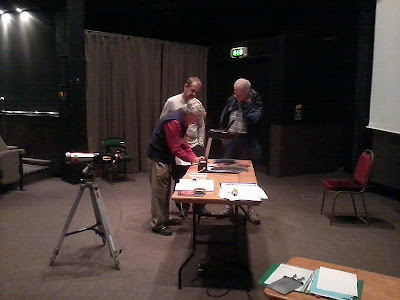 Controlling the Merlin mount with the Solar Funnel, solar projection kit. Children could see the Sun safely and all observers were supervised at all times. 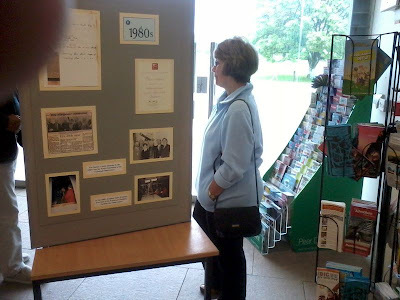 Despite a damp start, the exhibition, demonstrations and talks were a success and the society is looking forward to our Solar days at the Waterfront Museum in Swansea on August 18 and 19.